Mr David Shardlow is a Consultant Orthopaedic Surgeon practising at Circle Bath Hospital. He specialises in the diagnosis and treatment of adult hip and knee problems. He performs total joint replacement of both hip and knee, including cementless hips and advanced bearings for younger, more active patients. Mr Shardlow attended Medical School at King’s College, University of London, graduating in 1989. He then completed his early training jobs in London, before transferring to Leeds for completion of basic surgical training and passing the FRCS examination in 1993. 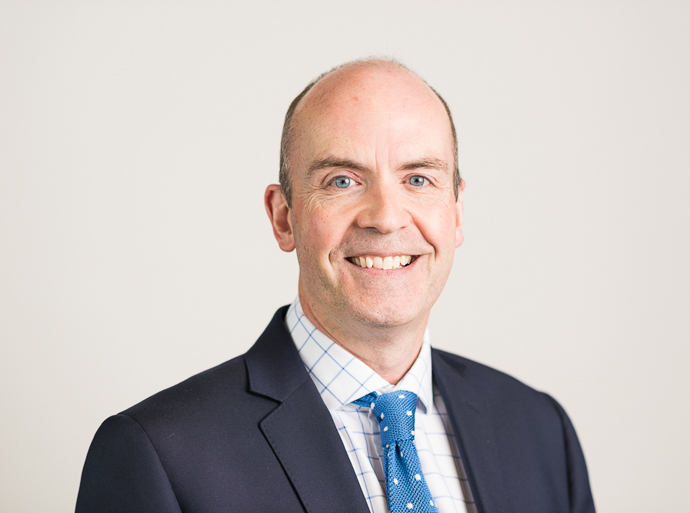 David was appointed to Orthopaedic Specialty training in Leeds in 1994 where he completed a research masters degree in Bio-engineering as well as passing the FRCS (Orth) examination. He finished his studies with a Fellowship in primary and revision hip arthroplasty under the tutelage of Professor Martin Stone at Leeds General Infirmary. Mr Shardlow was appointed to his Consultant post at Yeovil District Hospital, commencing in March 2000. He maintained a busy elective and trauma practice, continued with clinical research into novel hip prostheses and techniques, and held various management posts including Clinical Director for Orthopaedics, Associate Medical Director and Divisional Director, responsible for all of Yeovil’s surgical departments. David Shardlow left Yeovil in 2016 to concentrate on his elective hip and knee practice. Mr Shardlow has performed over 400 total hip replacements in the last three years. For further information on hip and knee procedures that Mr Shardlow has performed, please see his entry on the National Joint Registry. David Shardlow has two grown up children, Sophie and Will. He has been a keen cricketer through school and university and still plays club cricket every weekend through the summer months, although often now outclassed by his son. David also enjoys skiing, tennis and running. Since his Bio-engineering degree, David has been approached by various implant companies to participate in multi-centre research into cutting-edge joint prostheses development and techniques. He maintains a research interest as he is always striving for the best outcomes for patients. Recent research includes a large series of MiniHips, intended to be more conservative of the patient’s bone, and the trial which established the Smith & Nephew Verilast technology, now the best performing hip bearing in multiple national joint registries.